DMS acts as a full-service agency, which can offer everything from conception through development and implementation to editorial support. 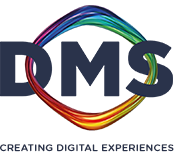 DMS was founded in 2004 and has since developed into a leading digitization partner for retail operations. Well-known trading companies, banks and customers from the telecommunications industry work with DMS to integrate digital media at the POS into their brand communication and business processes. DMS acts as a full-service agency, which can offer everything from conception through development and implementation to editorial support. For this, the company works with the best technology providers, develops its own technical solutions and, with a large team of experts, ensures that multimedia content reaches people where it brings tangible benefits - in the form of relevant information or as a contribution to one comprehensive brand experience.